Create a Stunning Dashboard with our Stellar Admin Template! create complex web applications easier. are multiple in-built layouts that make is it possible to create pages in a different layout in a matter of minutes. 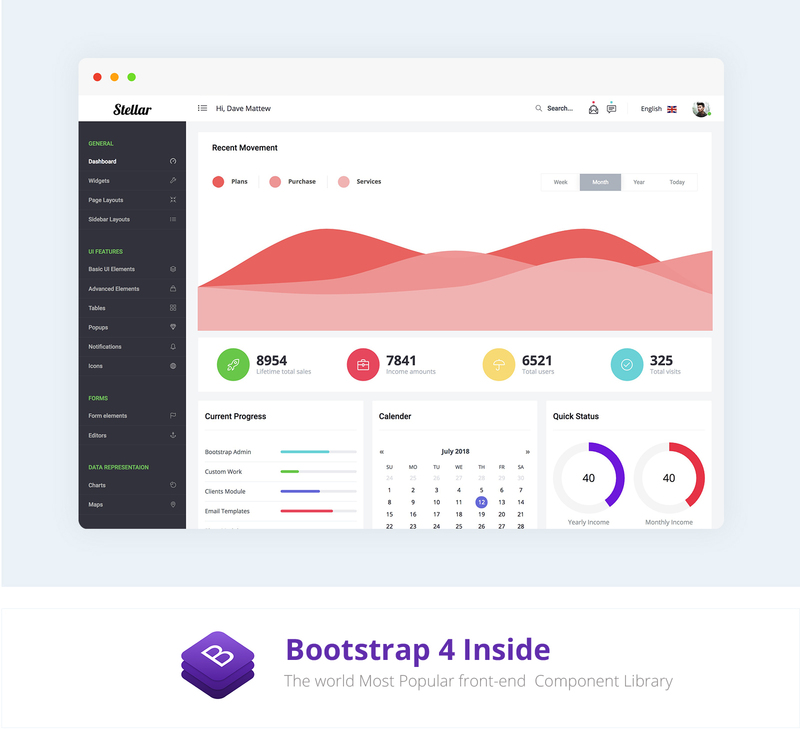 Create professional and graceful UI dashboards quickly and easily with Stellar Admin template.